Financial managers have the primary responsibility for acquiring funds (cash) needed by a firm and for directing those funds into projects that will maximize the value of the firm for its owners. The field of financial management1 is an exciting and challenging one, with a wide range of rewarding career opportunities in the fields of corporate financial management, investment banking, investment analysis and management, portfolio management, commercial banking, real estate, insurance, wealth management, and the public sector to name only a few broad areas. Articles appear regularly in the major business periodicals, such as The Wall Street Journal, Business Week Fortune, Forbes, and Dunn’s, describing financial managers’ involvement in important and challenging tasks. Consider, for example, the options facing General Motors’ management in late 2001 when it was deciding whether to sell its Hughes Electronics unit (owner of DirectTV) to Charlie Ergen’s EchoStar Corporation (DISH Network) or Rupert Murdoch’s News Corporation (parent of Fox Network). EchoStar offered a substantial premium in the $31.4 billion deal, but the EchoStar proposal was likely to face close antitrust scrutiny. Also, the financing for the EchoStar transaction was less certain than that for the News Corp. offer. GM eventually decided to sell Hughes to the News Corp. Think about the challenges facing airline executives in the aftermath of the September 11, 2001, terrorist attacks on New York and Washington. In the face of falling passenger load factors, should an airline cut service as Delta, US Airways, United, American, and most other major airlines did or should the airline view this as an opportunity to expand and gain market share as the financially strong Southwest Airlines did? Think of being the portfolio manager who bought a major stake in Krispy Kreme Corporation in April 2000 when the stock first went public at $21 per share. Will a particular investment be successful? Where will the funds come from to finance the investment? Does the firm have adequate cash or access to cash through bank borrowing agreements, for example to meet its daily operating needs? Which customers should be offered credit, and how much should they be offered? How much inventory should be held? Is a merger or acquisition advisable? How should cash flows be used or distributed? That is, what is the optimal dividend policy? In trying to arrive at the best financial management decisions, how should risk and return be balanced? Are there “intangible” benefits (e.g., real option aspects) from an investment project that the firm is considering that will affect the accept/reject decision emerging from traditional quantitative analysis procedures? This text presents an introduction to the theory, institutional background, and analytical tools essential for proper decision making in these and related areas. 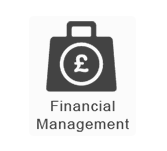 As a prospective manager, you will be introduced to the financial management process of typical firms. By learning how the financial management process works, you will establish one of the key building blocks for a successful management career.